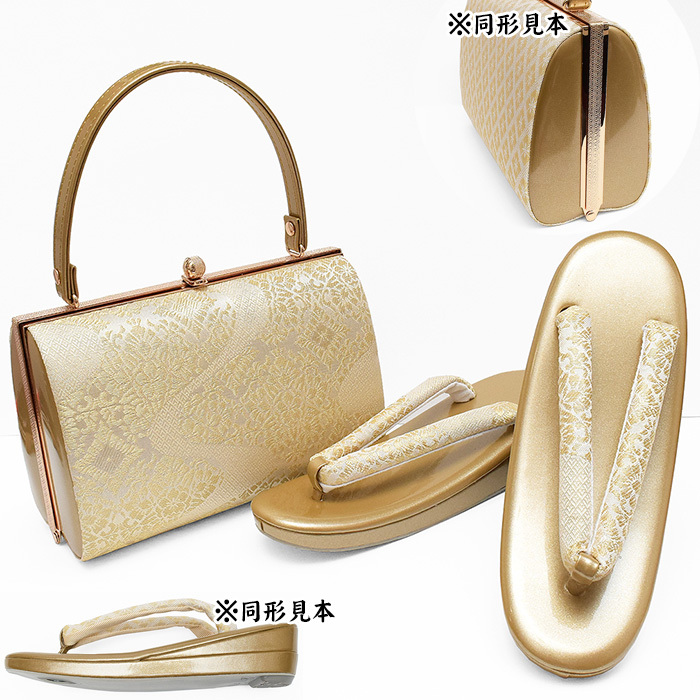 It becomes the sale of [sandals bag set]. 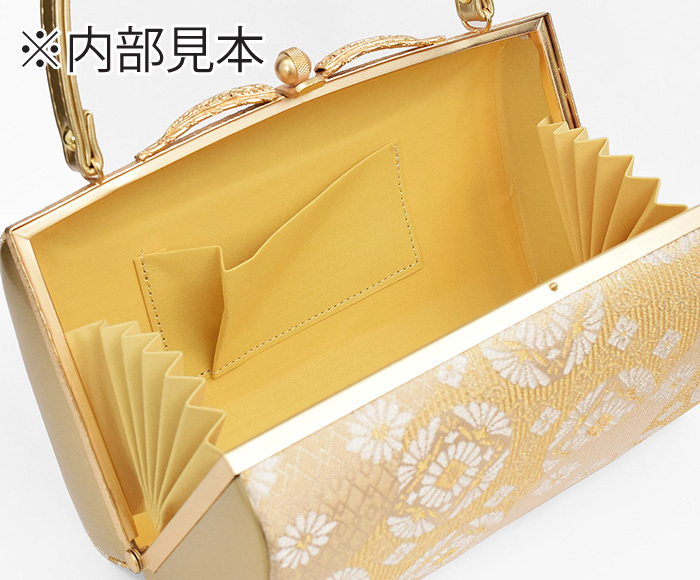 It is a bag for the luxurious formal dress with the glossiness of the money. Let alone the formal seats such as wedding ceremonies, it is good to the formal clothing such as a coming-of-age ceremony, a graduation ceremony, a long-sleeved kimono, the formal kimono with a decorated skirt. As it becomes the refined amorous glances of the calm gold system, you can use it toward the wide generation.